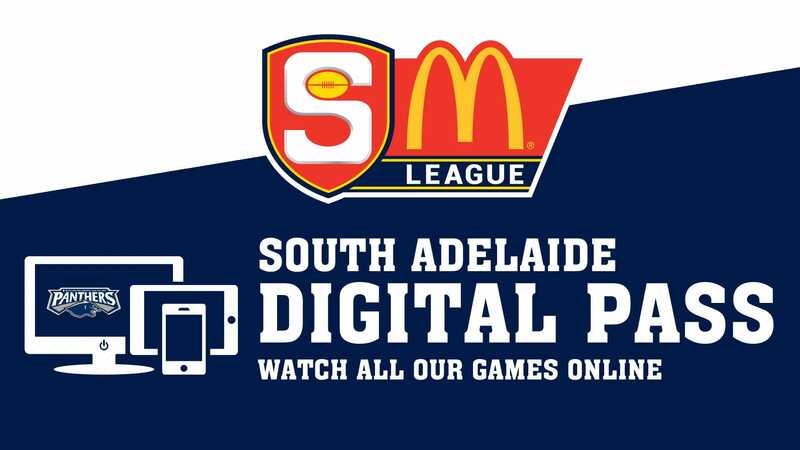 South Adelaide face top-of-the-table Woodville-West Torrens in their Round 9 SANFL Macca's League clash at Maughan Thiem Hyundai Oval this Saturday afternoon. Garry Hocking's selection committee will be forced into at least one change, as Brede Seccull's luckless run with injury in 2017 continues and he is forced to the sidelines with a finger issue. Pleasingly, veteran defender Tarak Redigolo is a chance to return to League football, after being named on an extended bench with goal sneak Matt Raitt. Meanwhile, Alex Moyle (Reynella - SFL) is in line for his senior debut after being rewarded for his strong form in the Reserves and being named on a forward flank. 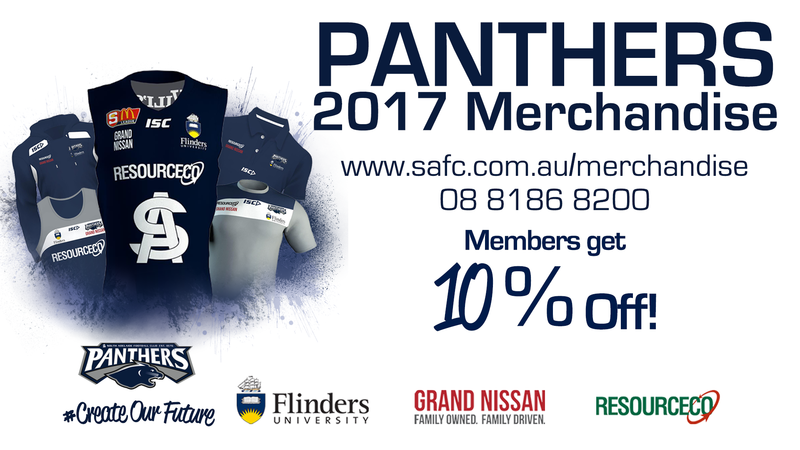 Let's get groovy for our 2017 Major Fundraiser: The Panthers Disco - Gala Auction! 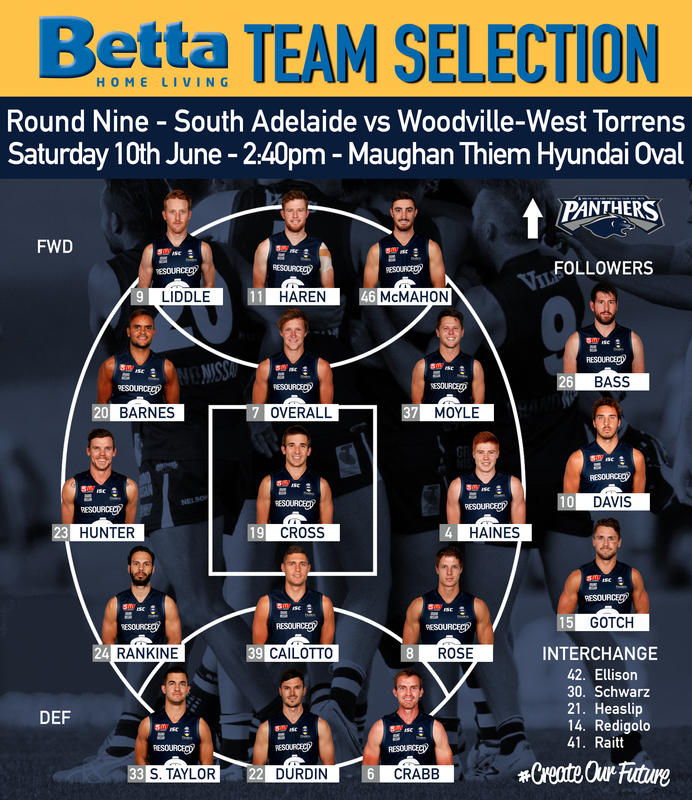 The Reserves will be boosted by the return of Tom Fields from an ankle complaint and also welcome junior Liam Fitt to the fold for his first taste of senior football. Fitt joins fellow juniors Henry Bruce and Hayden Sampson, who made their senior debut against Port Adelaide. Meanwhile, the Panthers Under-18s will look to hold onto top spot in the ladder, as they clash with the Eagles at Hickinbotham Oval from 11:25am on Sunday, June 11. Winter is here! 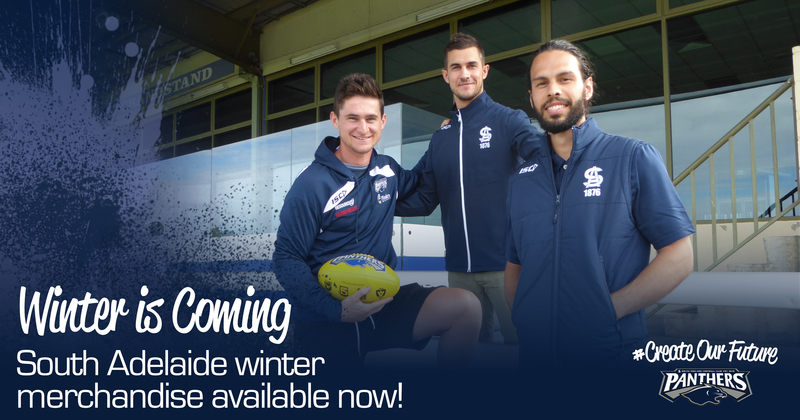 Stay warm with our range of outerwear - Members receive 10% discount! H. Bruce, S. Whitbread, H. Sampson, C. McGree, J. Elmes, J. Carapetis, J. Manuel, F. Penn, J. Daniels, J. Bradford, R. Mountford, R. Williams, B. Sowter, J. Riddle, R. Milsom, L. Bogle, K. Milford, D. Tucker Cook, L. Fitt, J. Colwell, N. Kreuger, N. Beenham, D. Arnold, E. Wilkinson, Z. Evreniadis. Missed the game? 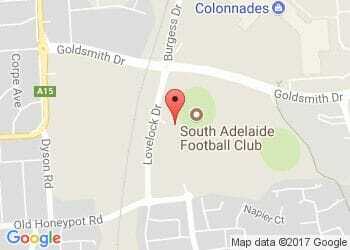 Re-watch it with a South Adelaide Digital Pass!